1) I love using wallpaper on walls like they did where the fireplace is. For walls that either pop out or recess in certain places, or are kind of standing alone in some way, wallpaper is a great way to capitalize on that and give it some definition. 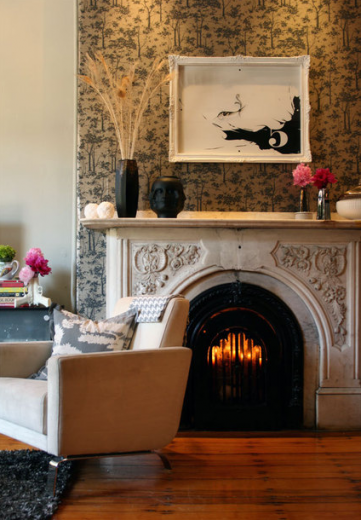 2) I love the artwork above the fireplace, and it is one of those things that would be easy to do yourself. 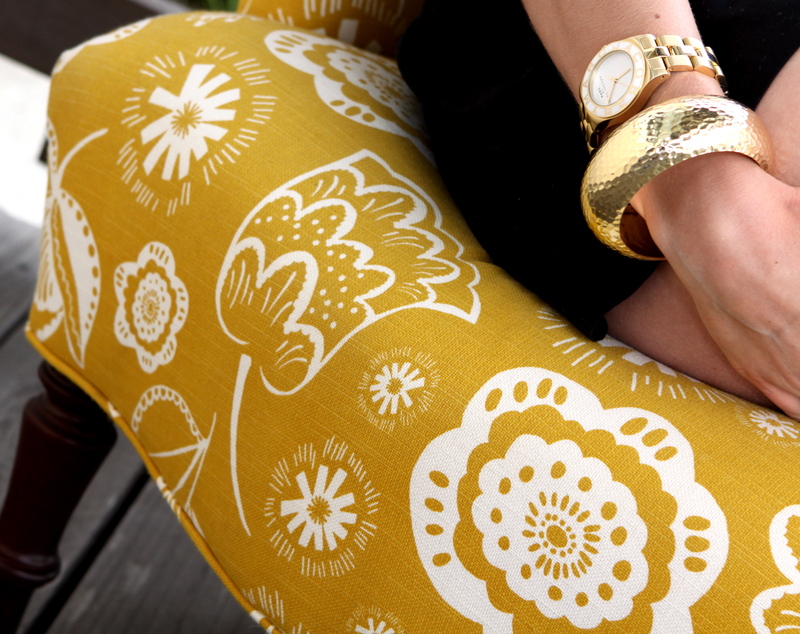 With just some black paint from the art supply store, and a yard of canvas from the fabric store, you could paint something pretty darn similar to it. You could then either pop it in a frame or stretch your own canvas. If you wanted to be precise with the number (or you could do a letter), you could print one out from the computer and lightly trace around it. My husband (being the wonderful man that he is!) always buys me wonderful books for every holiday/birthday. Lately I have been spending my every-free-moment reading Wicked – The Life and Times of the Wicked Witch of the West, and just recently finished it. Now that I have finished the book, we are planning a weekend trip to San Francisco to go see the play, and I couldn’t be more excited! I LOVE the theater more than most things in life. I don’t think there is anything quite like watching an amazing show done amazingly well (and from what I hear, the show is just that!). 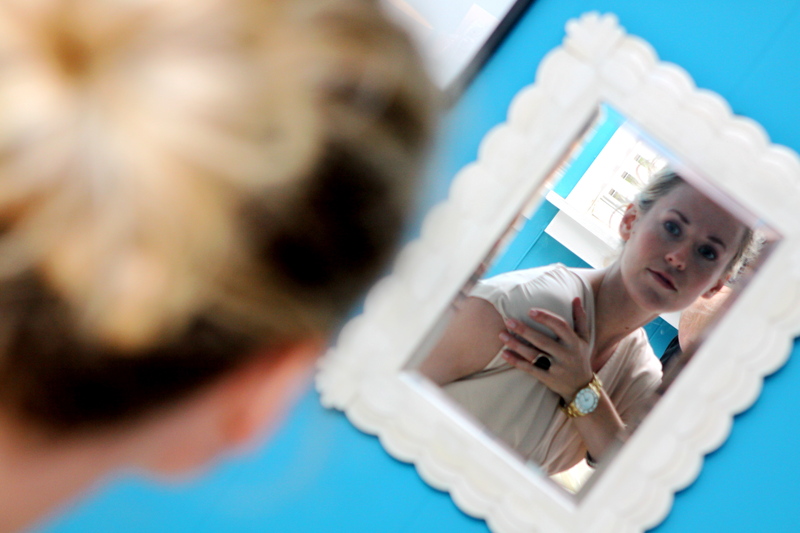 I had a reader request a how-to on this large bun – it’s coming soon! Stay tuned! I got this awesome sweater at Thrift Town in San Francisco…in the men’s section…it’s an extra-extra-large. And if you can’t already tell by the name of the post – I was inspired by the Olsen Twins. I don’t know about you, but I happen to LOVE the way the Olsen Twins dress. Like everybody else, they have their off days, but on the whole I find them to be completely innovative and fashion forward. 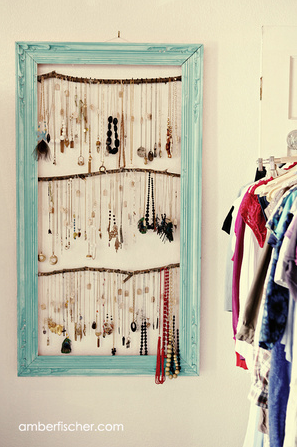 Creative Way To Display Necklaces…. One of the blogs I read all the time is Simply Grove. This week they had these pictures where they used large picture frames and sticks to display necklaces. -I love that it could pretty much be free. Most people have a frame laying around and can find sticks in their yard. -If you don’t have a frame, you could go to goodwill and find one, any color, and paint it. I’ve decided I have to start finding more excuses to wear this owl skirt. I bought it a couple of years ago at Anthro, and it quite simply has not seen the light of day enough times. Like 95% of the items I have purchased at Anthro, I had been waiting for it to go on sale, and was lucky enough to find it in my size once it did. I’ve started to try to look at my closet with new eyes as of late. Like most people (right? ), I walk up to my closet each morning and have the thought “I have nothing to wear…NOTHING!”. Then I start to feel silly (and frustrated) thinking about how much time and money I have put into my wardrobe. I have come to this conclusion: It simply must not be true – I must have things to wear. I just need to stop myself from pulling out the same items day after day. I need to be adventurous. So, all that to say, I am starting to look at my closet with new eyes. Yes that’s me in my sweats – how do you take a picture of a mirror without actually showing up in the mirror?! Now a couple thoughts on this – It dawned on me not everyone lives near the beach and might have to buy driftwood (!!!). 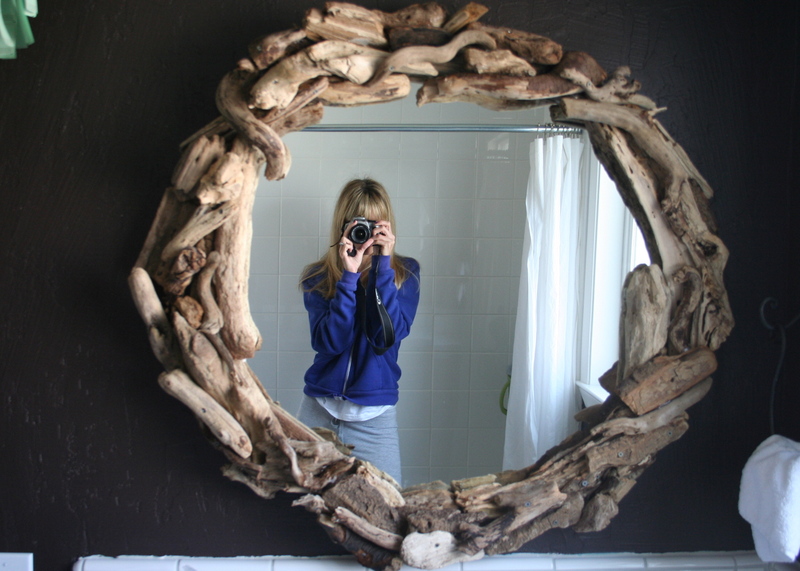 One of the many perks of living by the ocean is free driftwood. I looked for pieces in various size and shape because you need odd ones and stubby ones and long ones to fill the nooks and crannies, but I looked for ones that were not deteriorating, were somewhat smooth, and kind of grey in color. I had to go back three times cause I either needed more or a certain size and shape. 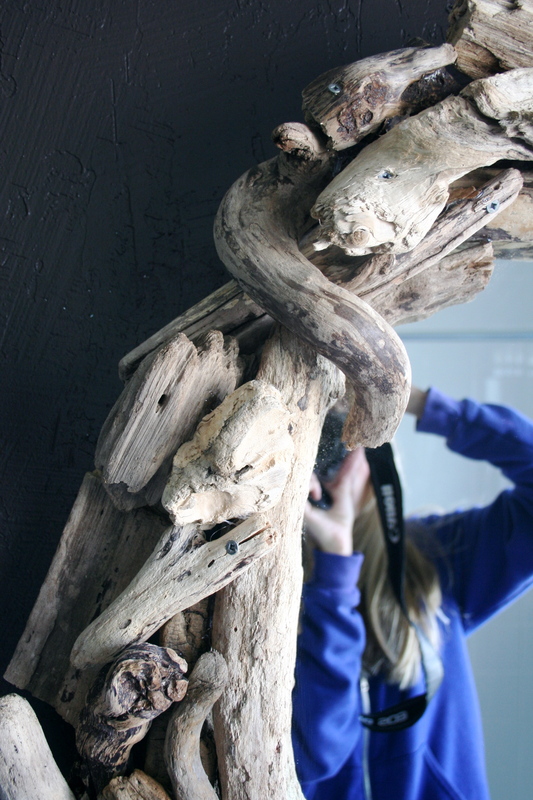 3) Next scrub the driftwood with soap and water and let it sit in the sun for a few days to dry out. I also sprayed it with bleach water during those days to lighten it up and grey it up a bit. 5) Once I did all that and it was dry, then I went around and secured all the pieces that I could with screws. This part was a must because it would have immediately fallen apart when I tried to lift it up if i didn’t do this. You can see in the close up that you do see the screws, which I don’t mind because I feel like it goes with the rustic look. But be mindful when choosing your screws that you will see them, so black or gold might not be the best. But there you have it…..and all for just about $30! These shoes are part of a line designed by Pierre Hardy (Hermes) for Gap in 2007. Three years later, they still give me joy….and height. This is my massive bun a la Carrie Bradshaw in Charlotte’s wedding. I know her bun is exceptionally larger than mine, but this was as big as I could get it without adding in some fake hair. I am a major bargain shopper. This is particularly helpful when you take into account my penchant for designer things. I am a lady on the lookout for a Sale sign at all times. Anthropologie is a store that I love, that is very expensive, BUT also happens to have GREAT sales! All three of the items worn in these photos that were purchased at Anthro were less than $30 each…. I re-did my phone area…. *Design Tip: using all the same colored pencils is a quick way to make a space looked designed or orderly. There was nothing on the wall there before and it is amazing what this little thing (well, not so little thing) does to make it look like a “space”. This I made in about 20 minutes…..the paper is from an old book and it is rolled into cone shapes. Then I hot glued them all to a piece of cardboard I cut out of an old Pampers box. The “E” I drew by hand (I copied it off of a mug I have from Anthropologie). Then I just glued it on top of two circles of similar colored paper to give it dimension, and hide the area where all the papers come together. The frame is an old one I have kept in the garage for years cause I liked it but didn’t know what to do with it. I have had my eye on this lamp and clock for a long time. They are both from one of my favorite home decor stores – CB2. CB2 is a collection of modern furniture and home decor with clean lines and colors….basically everything I like in the design world – Modern, Clean, Simple! The thing I LOVE about this clock is the size – it has a 39.75″ diameter! Gorgeous! The lamp is bright, glossy white with a neutral shade …which falls right in line with my current lamp obsession. Lastly, one thing I ADORE about CB2 is their prices. While it is not like shopping at, say, Ross, it is definitely on the less expensive side for home decor. Thinking Of Painting My Room…. I looooooove this room (below). It’s Nate Berkus’ living room. I love the color combinations and textures, and i love that it is rich and cozy feeling but modern and clean looking at the same time. This is what I am going for in my bedroom. Tip: notice the rug on the back of the couch. This is a great styling tip that you can do with either a thin rug or a blanket. 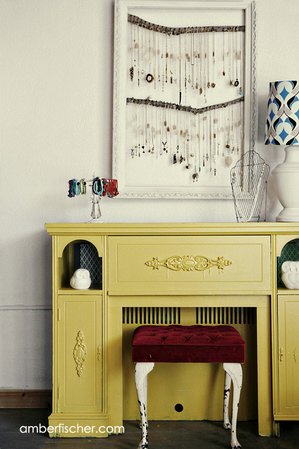 It adds interest and layers of texture of pattern. When I do finally paint my room, I’ll take before and after pictures to show you.